Chrysler has unveiled a surprise new member to the ENVI lineup in Detroit. 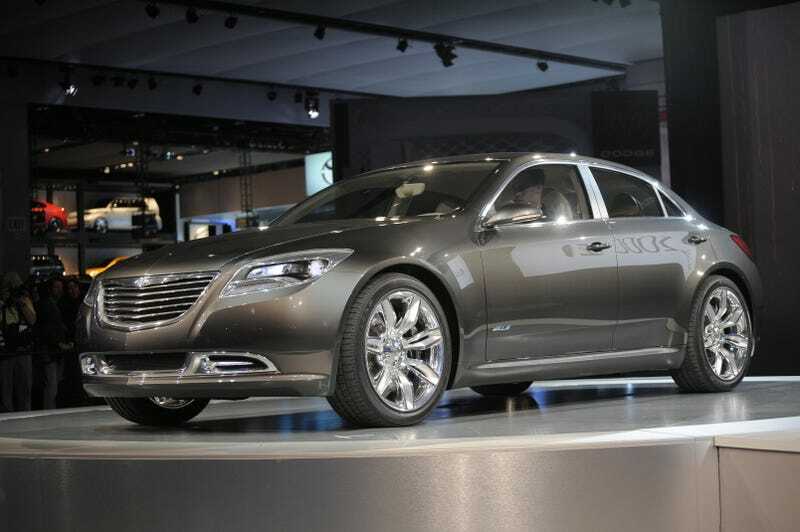 It's called the Chrysler 200C EV Concept and it's surprisingly good-looking. The Chrysler 200C EV Concept is a rolling test bed for Chrysler's future uconnect in-car computer and communication device. It also connects directly to an iPhone, allowing you to preprogram the temperature, lock the doors, allow you to view an in-car camera remotely (pervy parents rejoice) and track the car's location live via GPS – all straight from the iPhone. Underneath the hood, Chrysler says the 200C could use either the ENVI EV extended range powertrain or the new Phoenix V6. the concept is rear wheel drive, but they say it could easily be adapted to a front wheel drive production car, which seems a more likely prospect. Of all the Chrysler products revealed at the show, this is the most likely to reach production. Whether or not it'll have an extended range EV powertrain remains to be seen.